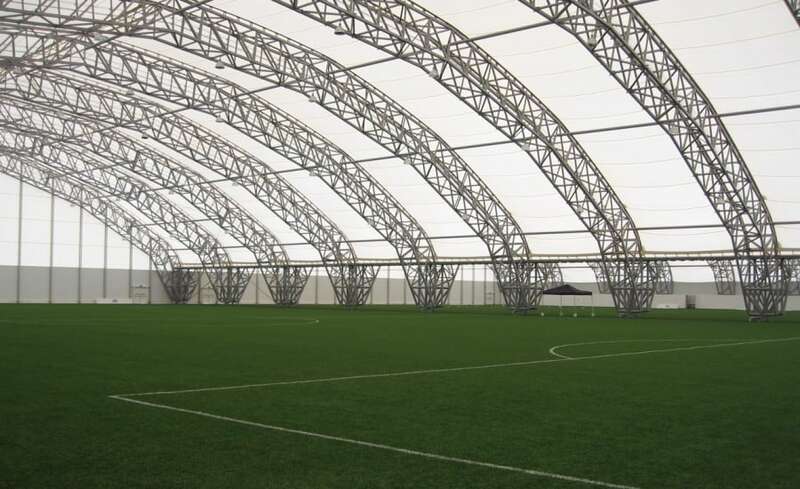 Located on the Thames riverbank, just along from the Millennium Dome, the David Beckham Football Academy provides two full size football pitches along with a pavilion building, housing lecture theatres and offices, as well as changing and catering facilities. 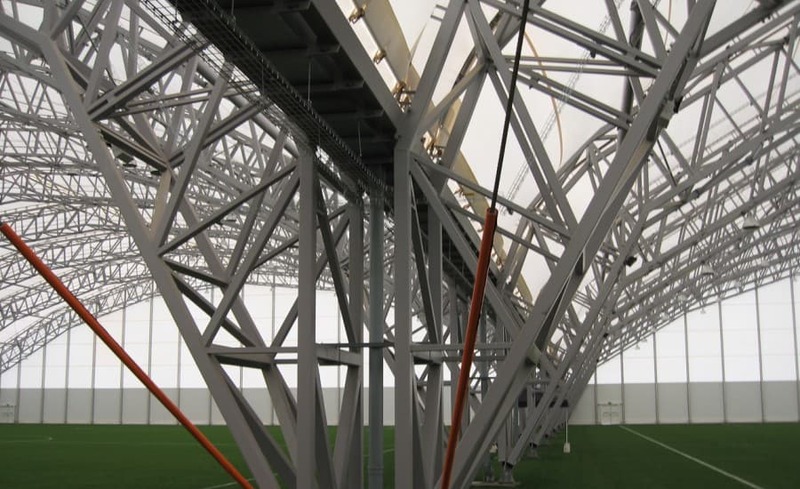 The development, which incorporates 22,000sqm of tensile fabric membrane, including the pitch roofing, wall panels and insulated ceiling panels, provides a strikingly modern environment in which to teach the next generation of football heroes. The Academy, made up of three structures of massive proportions, cannot fail to impress. 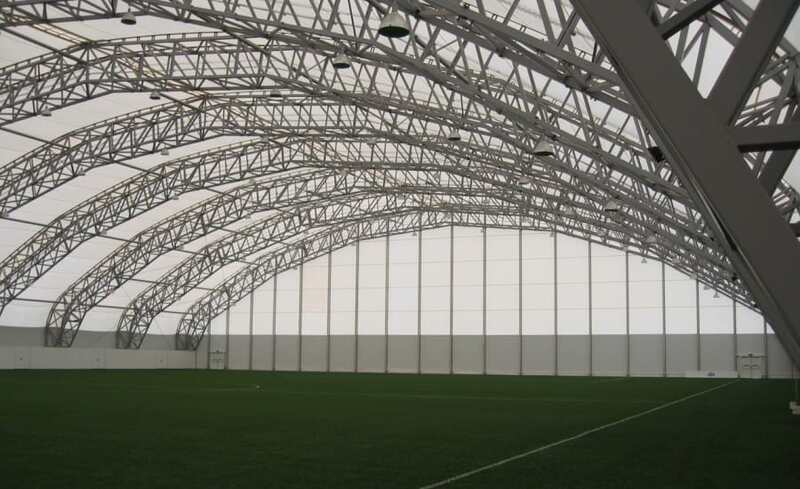 For the Pavilion building Architen Landrell supplied not only the fabric roof and wall panels, which were each made in a single piece, but also insulated ceiling panels a relatively new development in tensile architecture and a field in which we are establishing ourselves as market leaders. The Pavilion building makes up the smallest of the three structures on the Academy site, the other two being the vast pitch cover buildings. Each one is almost 110m long, 72m wide and with a ridge height of 19m. 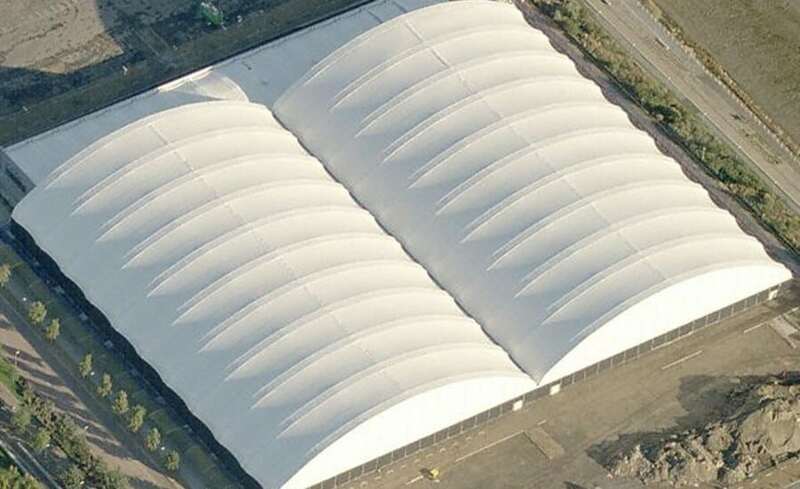 Most impressively photographed from above, the pure white fabric roofs span a massive area and make up the vast majority of the 22,000 square metres of fabric membrane installed as part of the project. Installation took only five months, a record time for the amount of fabric installed, and was completed by the specialised installers at Architen Landrell in conjunction with Edwin Shirley Staging. Safety was of paramount importance in the installation of the fabric and the installation method had to be devised to minimise the amount of work carried out at high level. The arches are assembled laid flat on the ground before being erected. The high profile project has undoubtedly been a success and provides a clean cut, stylish cover for the next generation of footballers to make their mark.